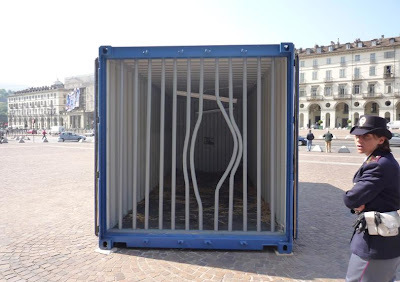 Container Art is the first traveling exhibition of contemporary art. The installations, paintings, video works and sculptures are by world-renowned artists. 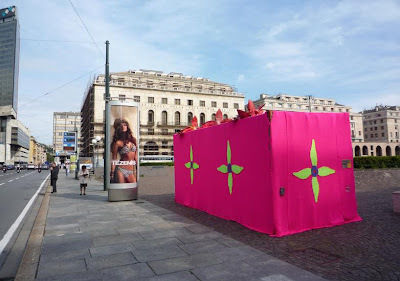 It organizes events, festivals and meetings, and the interactive installations connect the world through art, moving from town to town. 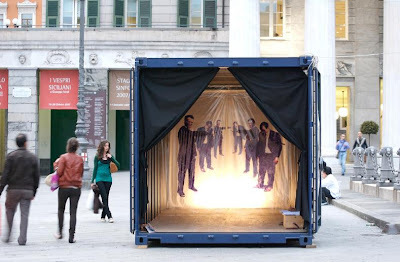 These can be parked at squares, streets, or some cool place and they bring the world of art to you.